Once again the 3D printer technology make us amazed, previously this sophisticated technology managed to make a house, now the car also can be made using the same technology. 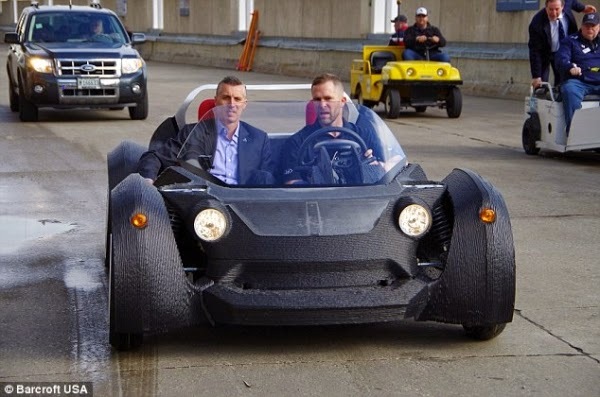 Local Motors, an Arizona-based car manufacturing company has managed to built and introducing the world's first fully-functional 3D printed car, the Strati. Dubbed the "Strati" (Italian word for "layers") and with a solid, one-piece chassis made out of carbon fiber-reenforced thermoplastic, the vehicle has just 49 parts compared to a conventional auto's 5,000. The tyres, wheels, battery, wiring, suspension, electric motor and window shield were made using conventional methods. 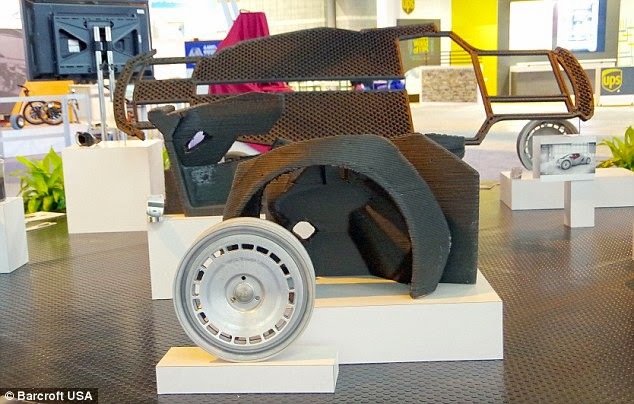 This 3D-printed electric car was manufactured with Oak Ridge National Laboratory (ORNL) and launched at the International Manufacturing Technology Show (IMTS) in September 2014. The battery that fitted in the Strati has a range of between 193 km (120 miles) and 241 km (150 miles). 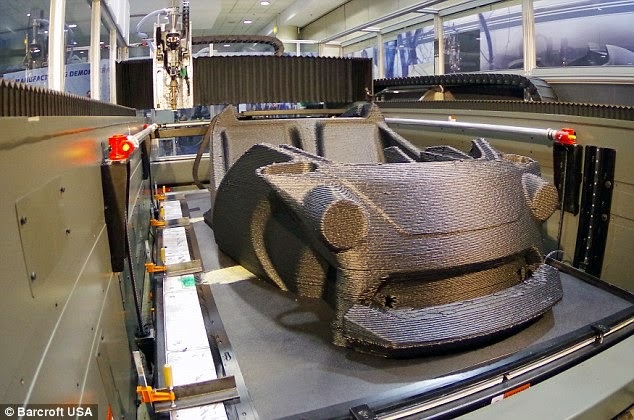 Local Motors' 3D-printed car can reach speeds of 60 kph (40 mph), but it not yet allowed to drive on roads. Local Motors expects that approval will come soon. All parts of Strati car other than the engine parts which is printed by a 3D printer so it took a total of about 44 hours to print all the existing parts and took 1 day to tidy up the prints, two days to set it up so that the total time of the making of this car took 5 days.